Palladium develops and delivers solutions that create positive impact for communities, businesses, societies and economies worldwide. We partner with institutions, governments and businesses to deliver cost-effective development initiatives, delivering better quality of life and a better future for communities around the world. Our Health team has over 40 years of experience strengthening health systems and tackling the complex challenges of formulating appropriate health policies and outcome-oriented service delivery. The Society for Family Health (SFH) is one of Nigeria’s largest and most successful non-governmental organizations (NGOs). It leds DFID’s Enhancing Nigeria’s Response to HIV/AIDS (ENR) programme and the Gates-funded maternal and child project in Gombe and Adamawa (2009–16). SFH has a strong presence in the Northern Nigeria and has developed a robust methodology to link MNCH from home to the facility, removing bottlenecks that limit access. These include better management of human resource for health, task shifting, reducing cultural barriers to accessing services, facilitating logistic access to facilities where there are no ambulances and piloting approaches to motivating community volunteers and providers. It has also supported innovative e-health technology such as mobile phone alerts and a call centre for emergency and follow-up. In 2012, SFH’s programmes SFH has over 450 employees and fully equipped offices in 18 states, including Kano, Kaduna, Sokoto and the Federal Capital Territory. Marie Stopes International Organisation Nigeria (MSION) is the country’s leading organisation working to increase women’s choice of and access to modern contraceptives. It has experienced exponential year-on-year growth over the last five years, which is testament to the demand and unmet need for high-quality HTSP in the country. It has been delivering services in Kano since 2011 and in Bauchi and Sokoto since 2012. MSION currently delivers HTSP services to more than 9,000 clients’ monthly working primarily through government facilities. This has resulted in increased couple years of protection (CYPs) from 39,300 in 2011 to an anticipated 360,000 CYPs in 2013. MSION has an existing broad-based distribution network (including for misoprostol) that could be leveraged for this project. MSION is a member of the National Reproductive Health Technical Working Group, the Association for the Advancement of Family Planning, and the National Core Technical Committee on Maternal, Neo-natal and Child Health. The Association for Reproductive and Family Health (ARFH) is a Nigerian NGO formed to meet the needs of disadvantaged communities through innovative, low-cost but high-quality interventions, targeting young people and adults through training, technical assistance and operations research. Its programmes focus on mobilising people for behavioral and attitudinal changes. ARFH is Principle Recipient (PR) of a major Global Fund grant and has been ranked as the best performing PR in Nigeria, and the sixth best in the world. 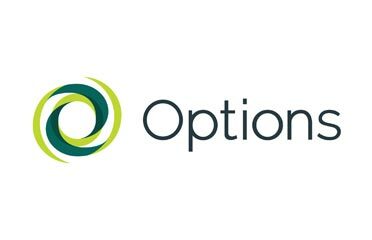 Options Consultancy Services is a world leader in maternal health, providing high-quality technical expertise and management services. Established in 1992, Options has worked in 50 countries on more than 900 projects. Options has delivered consistent results in Northern Nigeria under Evidence for Action (E4A) (2010–16), ENR (2009–14) and PATHS2 by strengthening the governance, advocacy and accountability of PHC of the health sector. In so doing they have developed coherent, sustainable and cost-effective approaches to improving accountability at all levels of governance. MannionDaniels is a specialist in strategic planning, with a strong focus on strengthening government healthcare systems in difficult environments including Northern Nigeria. In addition to delivering the behaviour change communication (BCC) component of PATHS2, MannionDaniels is supporting the federal Ministry of Health (MoH) and state MoHs (SMoHs) in Lagos, Kano and Kaduna to improve efficiency and effectiveness of external aid to the sector. Multi-partner consultations, workshops and planning sessions have resulted in new organisational structures for sector planning, including a web-based donor resource tracking system for documenting and harmonising external support in Lagos State. The Axios Foundation was formed in 2000 by health experts from the public and private sectors who shared the vision of an organisation that could work effectively with clients and stakeholders from both sectors to improve access to quality healthcare. It has 13 offices and works in 64 countries worldwide. Axios has a strong track record in Nigeria, consistently delivering effective, highest-scoring work that improves supply chain management. Axios will build directly on the results it achieved in strengthening government commodity supply under PATHS2, including establishment of Drug Revolving Funds, legal adoption of the Drug Management Agency in Kano and Kaduna and reduction of the costs of drugs in drug revolving fund (DRF) facilities to 60-70% of those in the private sector.